Crimp tools calibrated with fast, efficient turnaround. † Please include crimping tool, unused crimps and cable samples. Crimp tool calibration ensures that your tool is working in accordance with its original specifications. 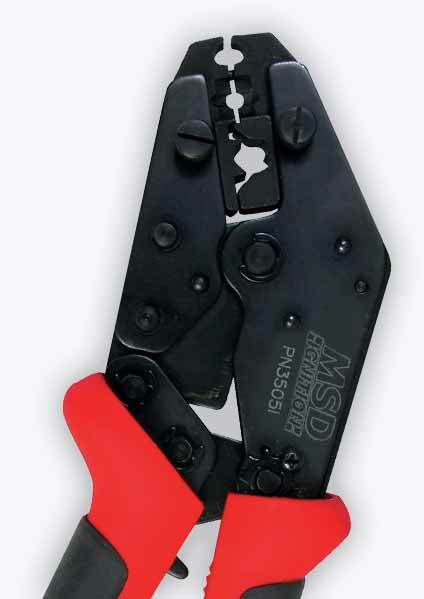 At PASS Ltd we can calibrate all makes and models of crimping tools in our in-house laboratory. We pride ourselves on our quick turnaround and excellent service and will aim to get your crimpers back to you as soon as we possibly can to minimise your downtime. The tool is subjected to a pull test in accordance with BS EN60352-2: 2006 section 5. Under this procedure, the crimp will be examined carefully and a pull test will be performed using a suitable sample. Force is applied to the tool and the crimp joint should be able to withstand this force without degradation. The cross-section of the crimp will affect the amount of force (in Newtons) that can be applied. Calibrate.co.uk accommodates for a wide range of crimp tools with different cross sections, including those with conductor sizes of 2.5mm² for open, pre-insulated crimp barrels and those with conductor sizes of 1.5mm² for closed crimp barrels.